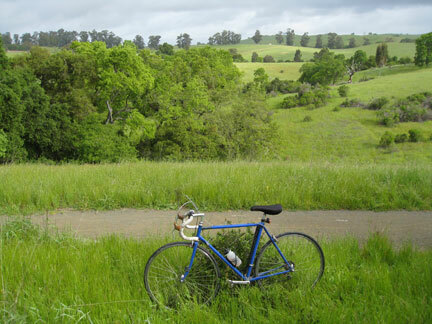 I haven't ridden at Arastradero Preserve for a long time. Sometime after the last ice age, Paseo Del Roble Road was paved into the park. Taken from the trail looking east. This entry was posted on April 24, 2011 at 2:03 pm and is filed under News. You can follow any responses to this entry through the RSS 2.0 feed. You can leave a response, or trackback from your own site.